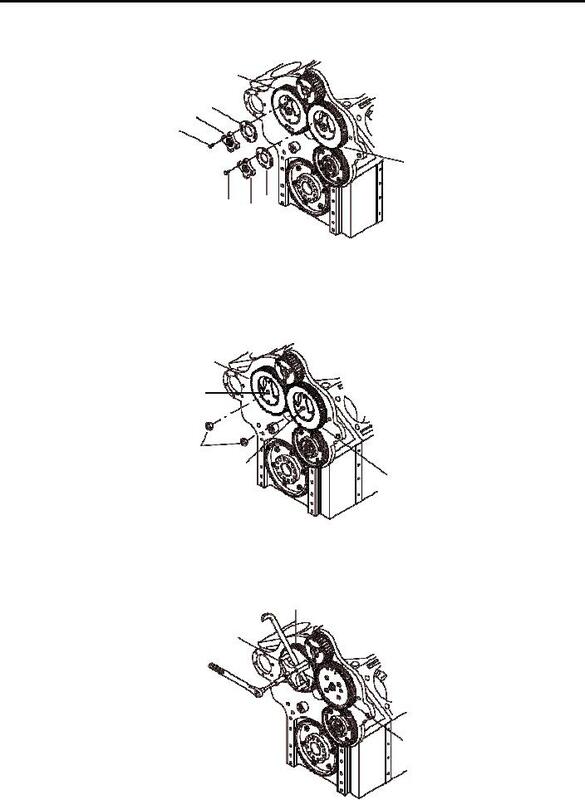 Remove four cap screws (1), adaptor (2) and retainer (3) from left camshaft gear (4). Place a cleaning cloth between camshaft gears (4, 8) to prevent gears from rotating. Remove two hex nuts (9) from rear end of camshaft (10, 11). Remove cleaning cloth from between gears (4, 8). Remove cam gears (4, 8) using body puller and a pry bar.